Let Missy, Suzy, Betty Jean, and Cindy Lou help you ring in the holidays! WINTER WONDERETTES takes audiences to Harper’s Hardware for their 1968 holiday party, hosted by the female singing group The Wonderettes. When the boss doesn’t show up with the bonus checks, the ladies must use their talent and creative ingenuity, plus some great holiday tunes such as “Santa Claus is Comin’ to Town,” “Jingle Bell Rock,” “Santa Baby,” “Winter Wonderland” and 20 other seasonal favorites, to save the festivities. This energetic and entertaining show is guaranteed to delight audiences of all ages. 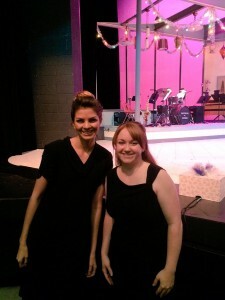 The performance on Sunday, December 6 will also feature ASL interpreters Jessica Lewis and Maggie McKenna, both students of local interpreter Jane Meirose at Quincy University. Special seating for the deaf and hard of hearing is available. To make a reservation for these seats, please visit the QCT Box Office or call 217-222-3209. 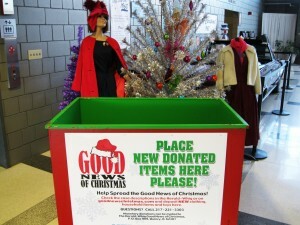 Donations of new clothing and toys will be accepted before all performances for Herald-Whig’s Good News of Christmas campaign.